Welcome to the Save or Die Staff page, the podcast has undergone some changes over the years since it started in 2010, with the original hosts of DM Vince, Mike & Liz. Along the road, they picked up DM Glen, DM Vince moved off mic into Executive Producer role, and then DM Jim came into the fray. In 2013 DM Glen retired from the show, leaving the new trio of DM Mike, Liz and Jim holding the torch, the only light in the darkness. But then the torch faded out, as DM Mike, Liz and Jim decided to end the show and go out on a high note. The show was revamped in 2017, and saved by a new set of hosts. Born in the Eighties, at the height of excess and tabletop games, Chrispy was born too late for the good ol’ days when D&D still came in a box. However, due to a naïveté at the beginning of his roleplaying career concerning what editions were what, and the wonderful burgeoning movement that is the OSR, he’s been able to branch out and explore the wonder and excitement that are Save or Die effects and percentile skill rolls. In the rare times when he can pry himself away from the soul devouring entity of MineCraft, plays old video games, and sometimes even has room for a social life! He’s played almost every edition of D&D except Brown Book, 3.0 and 4th Edition, but the Holmes blue book and Pathfinder are his favorites. He also enjoys more light hearted (and rules light!) RPGs such as Ninja Burger, Kobolds Ate my Baby, and Ghostbusters International. Chrispy rejoins the show when it became the Immortal Edition, Adventure #139, after a long break away from the OSR Scene! 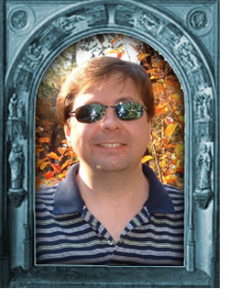 Carl first started playing D&D in the early 90s with the Rules Cyclopedia. His D&D in a box was “rpg lite” board games like Milton Bradley’s HeroQuest, and TSR’s Dragon Quest and Dragon Strike. Since then he’s managed to play every edition of D&D more than once but still strongly prefers “classic-style” games. Carl is new to podcasts having found Save or Die as a listener due to his interest in classic D&D. He is extremely excited to now be a host of this great show. 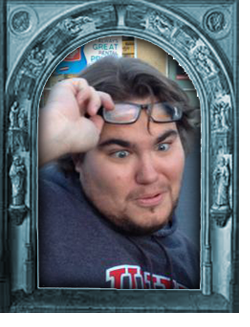 Carl joins the show when it became the Immortal Edition, Adventure #139! Courtney has played RPG’s since 2008. She married into a whole family of old school gamers and hasn’t looked back since. 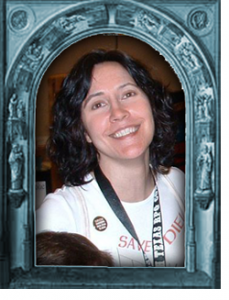 Courtney prefers playing rather than being a Dungeon Master. She doesn’t get too focused on the rules or fine print. She is always willing to play any system everyone else wants to play, though she does favor the fantasy systems over sci-fi. Courtney officially joined the show at episode #150. 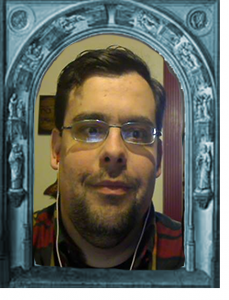 James is an avid DM and player. He has been DM’ing since the early ’80s and kept up with the evolution of the game to date. His DM’ing style focuses on overall player engagement and setting the right expectations. He currently lives in Maryland with his lovely wife and kid. 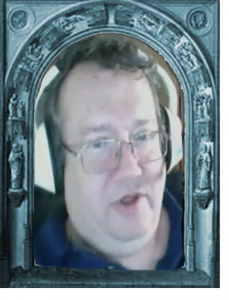 James favors Labyrinth Lord and Basic/Expert D&D. James is the creator of White Star. James Joined the show on Adventure 131 but due to a demanding life, had to leave the show after adventure 138. 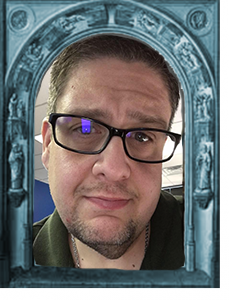 Vincent is originally from Long Island NY, where he was a former Radio Personality, and now lives in the state of Texas, his voice may sound familiar as he has hosted various podcasts, such as Darker Days, RFI Podcast, D6 Radio and others. His DM’ing style is more on the fly, and enjoys the just roll a D6 Method to solve those annoying problems. Vince has been playing D&D since the ’80s, and he favors the Moldvay/Cook rules set. Vince was one of the original hosts until 52 and decide to move into the executive producer of the show. Erik is a big time blogger at Tenkarstavern.com, where he spends a lot of his time reviewing and policing the community to make sure things are on the status quo. He’s been playing since the ’80s and has found his comfort with S&W. If you want a strong opinion or a solid review he’s your man, look no further, he’s a straight shooter and doesn’t believe in making things “PC”. Incase you are wondering, TM stands for “Tavern Master”, Yes Erik stands out with a different title, because.. well he’s Erik! Erik joined the cast as of Adventure 131 and left the show after Adventure 138. DM Mike was a former resident Of Mississippi and Arizona before settling in Texas to pursue a college education. he has busily spent time earning college degrees in a vain attempt to avoid entering the real working world. Alas, this failed and he currently teaches college history. He is a fan of most pre-2000 Dungeons & Dragons, but Original (Brown Book)+ Supplements are his preferred game; with the Holmes Basic D&D a close second. However, he cherry-picks from all the pre-2k editions so its hard to say for sure… which is “Old School” in its purest form! 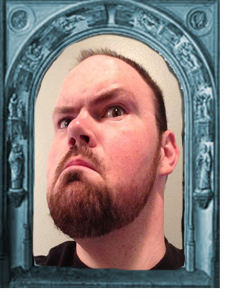 Mike is also the author of the forthcoming Victorious RPG for Troll Lords Games. Mike’s final episode was episode 130. DM Liz was born in San Antonio, Texas at the tail end of the 60’s and first discovered gaming inside a small “hole-in-the-wall” hobby shop in Corpus Christi around 1981 or so (her memory is a little fuzzy on the exact year—she’s old, cut her some slack, okay?). This was of course the magnificent Holmes Basic box set, which has yet to be improved upon in any way, shape or form. 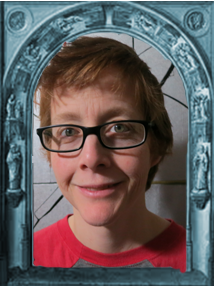 Liz is a struggling graphic designer, and has worked for Troll Lord Games in the past doing the layout and editing for Crusader magazine during their run of issues 8 through 22. She currently is back in school finishing her degree in Graphic Design, and is still not entirely certain how she got roped into doing a podcast. 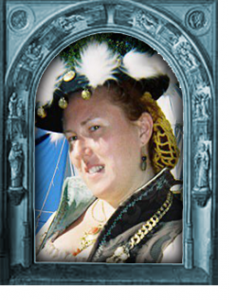 You can find Liz every year at the North Texas RPG Convention in the DFW area of Texas, and occasionally at Troll Con in Little Rock, Arkansas as funds permit. Liz’s final episode was episode 130. 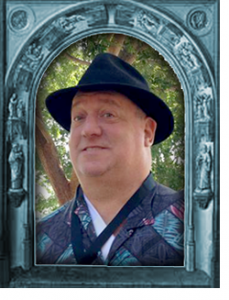 DM Jim lives in Cincinnati, Ohio and started playing D&D when he stumbled across some college guys playing D&D from the Little Brown Books and the AD&D Monster Manual in 1979. After a brief journey through the Holmes Basic Set, he has played every edition of D&D since. Jim’s current preferences for creating that old school magic at the table are OD&D and DCC RPG. 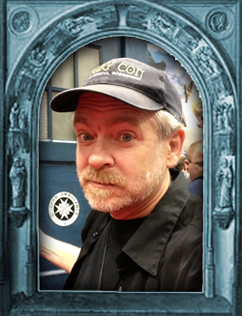 Jim is the creator of the Marvin the Mage comic, and writes for Goodman Games. Jim’s final episode was episode 130.